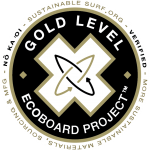 Ecoboard Audit Results Firewire’s Thailand manufacturing site was audited by Sustainable Surf. The company has effective processes to ensure approved materials are used in boards using both Ecoboard labels. 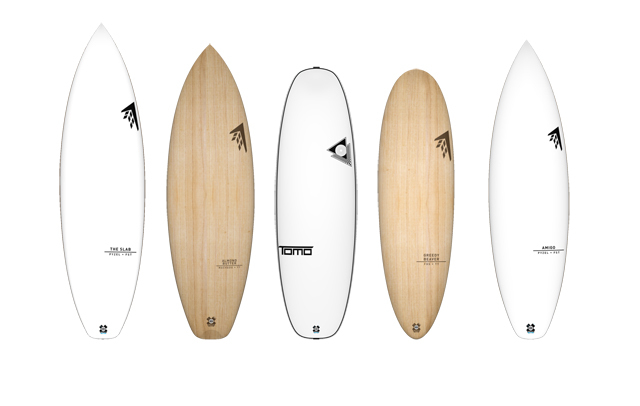 Surfboard Sustainability Firewire is dedicated to building high performance surfboards and accessories through innovative design, materials and construction methods. They strive to do so with the lowest possible impact on the environment while also giving back to the global surf community through support of various environmental and humanitarian organizations. Firewire embraced the ECOBOARD program from day one with the introduction of our TIMBERTEK models. The combination of sustainably grown Paulownia wood deck skins and bio-resin throughout, qualified TIMBERTEK for ECOBOARD verification. In July of 2014 Firewire converted their entire production to Entropy Super Sap bio-resin, and thereby qualified every Firewire board for the Ecoboard Project. In addition, the Paulownia wood used in the Timbertek boards is sourced from a certified, sustainable resource, and also includes a 20% recycled content EPS core, and 30% bio content Entropy epoxy resin. Energy Firewire has a strong focus on energy efficiency. The Thailand site is currently exploring options for renewable energy. Waste Waste is minimal for a surfboard manufacturing process. An onsite EPS recycling program is in place. Packaging Firewire uses BAST recycled content/recyclable packaging for most board ranges. Alternatives are being explored for other packaging used. Health and safety Worker health and safety (WHS) is at a very high standard. The site proactively promotes and enforces WHS – examples providing appropriate personal protective equipment, emergency response stations, and mandating helmet use for motorcycle and scooter riders entering the site. How Should ECOBOARD Orders Come In? Order from a dealer. Brand Description Since 1969, Channel Islands Surfboards has been dedicated to performance and quality through hard work, innovation, and originality. Over the last 43 years, Channel Islands has grown from a local grass-roots operation to a cutting edge organization, catering to the best surfers in the world. It started with hard-core surfing and quality in mind and these guidelines have brought us through four decades of constant change in the surf industry. Channel Islands will shape the new millennium with innovative design and quality as our main focus. Along the way came the surf shops, the surf contests, the friends and the parties, the surf Factory, the professional Pukas surfers, the good and the bad, the surf schools and the stokedness; Surfing at its finest. Pukas is surf and always will be.